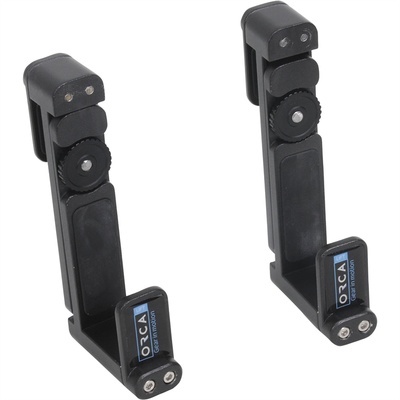 Product #60697 | SKU OR-1000-1 | 0.0 (no ratings yet) Thanks for your rating! The Orca Aluminum Lift System for ORCA Audio Bags (Pair) can custom mount your portable field mixer to an ORCA bag. The system includes two arm clamps that connect to the bag's internal divider or the sturdy exterior frame and allows any user to customise the fit and position of the mixer.